CMT Music Awards 2017: The biggest country music night has arrived. 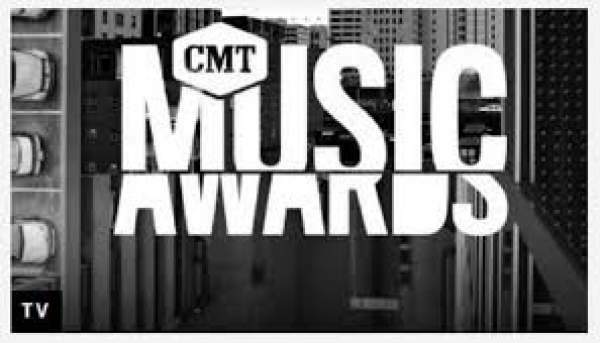 The live streaming of CMT Music Awards, winners list, and watch online video and Red Carpet info is available here. There are some ways to catch the live updates on the go. There are some award categories like ‘Video of the Year’ in today’s ceremony of the country music event which nobody would want to miss unless there is some emergency. It will air live (streamed) on CMT.com with a cable subscription. The SPIKE tv channel will telecast it. So, better buy a subscription. However, if you can’t then no worries. We will make it possible for you to watch it on this page. Open the page at the right time and the video will be made available. The list of CMT winners 2017 will be updated here. Keep refreshing. The nomination list is lead by Brett Eldredge (“Wanna Be That Song’), Carrie Underwood (“Church Bells”), Brad Paisley (“Today”), Cole Swindell (“Middle of a Memory”), Dierks Bentley ft. Elle King (“Different for Girls”), Florida Georgia Line (“H.O.L.Y”), Jon Pardi (“Dirt On My Boots”), Keith Urban (“Blue Ain’t Your Color”), Kelsea Ballerini (“Peter Pan”), Thomas Rhett (“Star of the Show”), Miranda Lambert (“Vice”), Little Big Town (“Better Man”) and Luke Bryan (“Huntin, Fishin’ and Lovin’ Every Day”). The list of performers for tonight includes Jason Derulo, Lauren Alaina, The Chainsmokers and many other notable names. A special tribute function to honor the late Gregg Allman will be carried out. Jason Aldean, Darius Rucker, and Lady Antebellum’s Charles Kelley and Derek Trucks will honor Gregg. The stars like Blake Shelton, Luke Bryan, Carrie Underwood, Brett Eldredge, Miranda Lambert, Thomas Rhett, Florida Georgia Line, Lady Antebellum, and Earth, Wind & Fire are all set to deliver performances tonight on the stage. The big awards include the Male Video of the Year, Female Video of the Year, Duo Video of the Year, Breakthrough Video of the Year. The trophies will be awarded for all the categories to the deserving candidates. Kane Brown, Lauren Alaina, Luke Combs may win these awards. The viewers can catch the live show on CMT, TV Land, Spike or Nickelodeon. Below is all info you need to watch it online. Stay tuned to TheReporterTimes for latest award show‘s news and updates around the world.